In 2012 Colin McCormick came across the discarded sign that used to span the entrance to the industrial park. 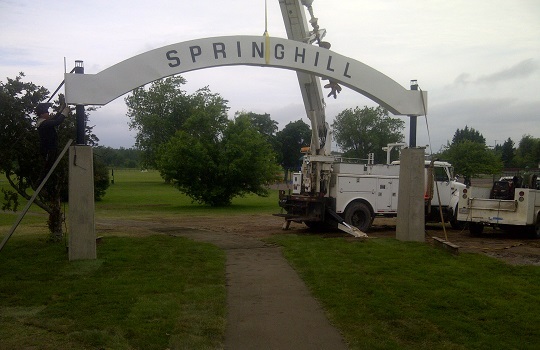 Having an interest in Springhill's heritage, Colin took it upon himself to recover the sign and restore it. It was in bad shape; rusted and bent. With help from the crew in the shop, new metal sections were welded in, sandblasted and painted to look like new. in 2014 it was erected in the Lions Park and now serves as a reminder of past generations who went to work every day under that sign. 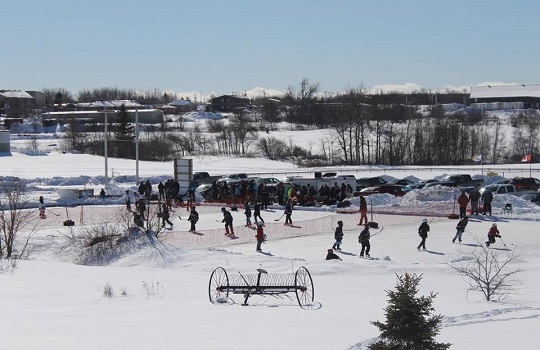 In 2014 Ray McCormick & Sons Ltd. spearheaded a project to create an outdoor skating rink at the Lions Park. The crumbling remains of the ice surface from the old arena that collapsed in 2001 provided a good starting point. 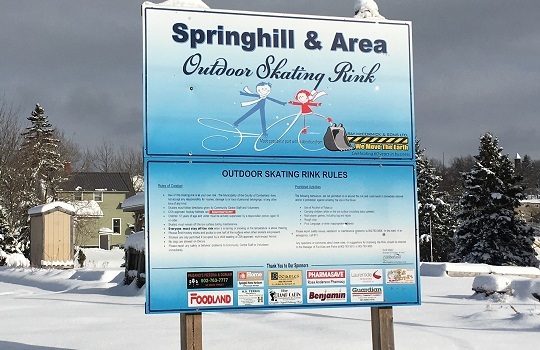 The company made a donation to cover the restoration of the concrete so it could hold water again and it now provides a spot for families to enjoy outdoor skating. 2016 marked the company's 60th year in business. 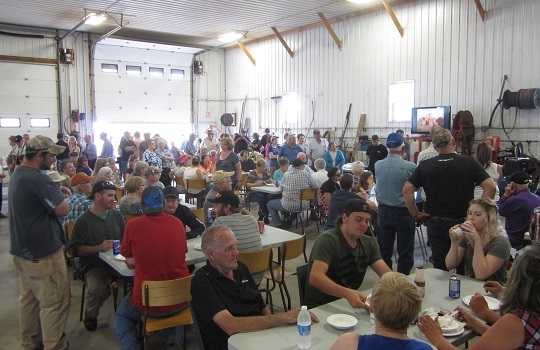 Over 400 friends and customers attended our event which included equipment displays, contests and give-aways. 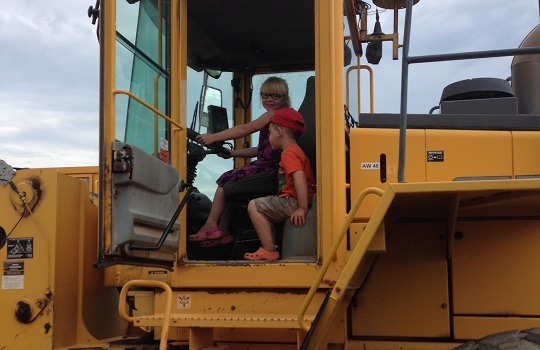 Most popular were stations that allowed youngsters and the young-at-heart to try their hand at operating an excavator and a backhoe. Thanks to our vendors who provided prizes and the local 4H Club who handled traffic, parking and food service. 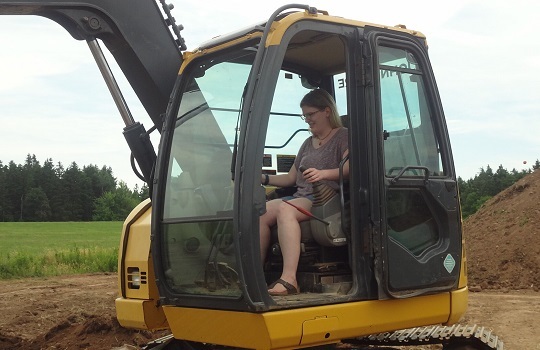 We are a Premier Sponsor of the annual Oxford Exhibition and local 4H Clubs. 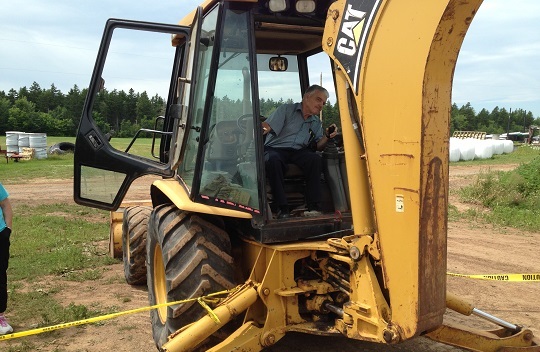 Ray McCormick and Sons Ltd., located in Springhill, Nova Scotia, is a family-owned and operated business providing construction services in Cumberland County for three generations.